Buy a souvenir bottle. The all season orange bottle is unlimited free refills all season long. If you only are planning a day you can due a souvenir bottle for free refills for a day. Get a fast pass or fast pass plus. If you have driven several hours and only planning to be in the park for one day, I would suggest getting a fast pass. These are pricey, right around $100 per person. This will help shorten your wait times. This way you can ride all of the rides. Please note, that there are some rides that do not offer the fast pass entrance. But most of the bigger coasters do. Bring swimsuits or extra change of clothes and some flip flops for the water rides. In the park around the water rides you can actually wear your bathing suit. I wore my full piece bathing suit and a pair of shorts and my flip flops. I have never been so thankful, because I looked like I jumped into a swimming pool when I got off the water rides. 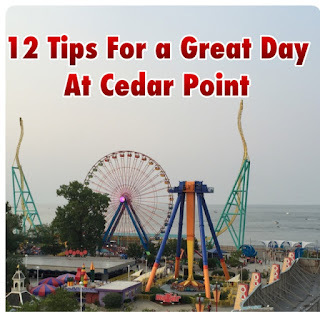 Get in the park early, and during the hottest part of the day, go enjoy splash city (additional admission required) or you can go to the beach and enjoy Lake Erie. If you are a hotel guest, go back and enjoy your pool. Then when the hot heat has passed go back into the park until it closes. If you have little ones you must utilize the parent swap program. Swing by the guest services and get your paper work that explains the parent swap program. It is free. This program is for when you have little ones who can not ride the ride and the parents want to ride the ride. One parent will go stand in line, ride the ride, then as that parent exits the ride they give the parent swap paper to the ride worker. When the other parent exits, the other parent that was waiting, can walk up the exit and get right on the ride. A big plus for this is that if you have a child that can ride that ride, that child can ride the ride again with the parent that has not rode the ride. Its a win win for all parties. Have a game plan before you go. Know the rides and the layout of the park. Bring only the items that you really need. Locker rentals are expensive, but available. Wear comfortable clothing and shoes. I like to wear my tennis shoes and a outfit that is comfortable and will keep me cool. Watch the temperatures. The wind off the lake can be cool. We went on Memorial Day and we needed long sleeves in the evenings. We also went that Fourth of July weekend and I remember having to buy long sleeves for my little one, because the first night was in the low 70's. It's better to be safe than sorry, you can always leave your long sleeves in the car or your hotel room. Drink plenty of water on a hot day. I was in line to ride one of the coasters and I saw someone pass out. Any of the food stations will give you free water in a small cup if you ask for it. Take advantage of the early park hours. 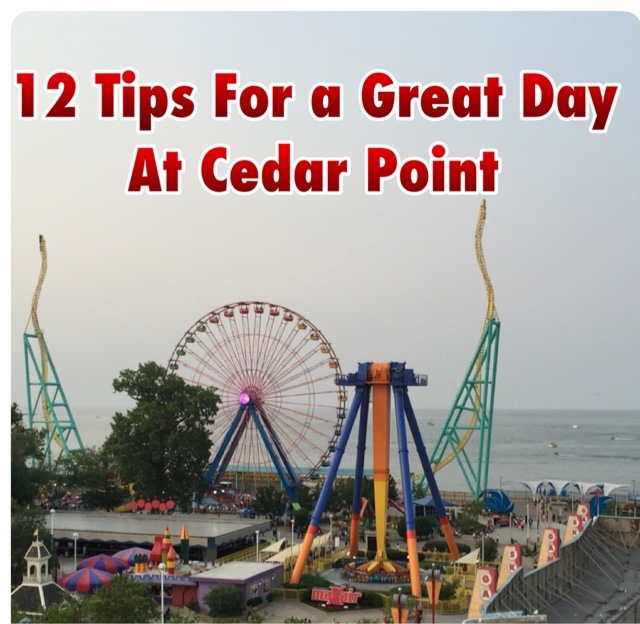 If you are a Cedar Point Hotel guest or a pass holder you can get in the park up to 1 hour earlier. Do you have any tips that you would like to add? Please note that I was not compensated for this review. All views are of my own opinion. Rules and prices do change, always check with the establishment for their rules and regulations. This post has been updated to reflect the changes for the 2017 season.